Walking The Somme: a walkers guide to the Somme battlefields. 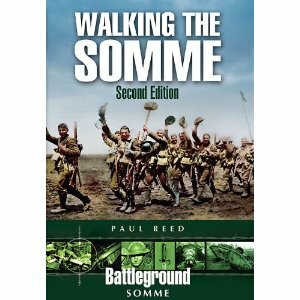 First published in 1997, the updated edition came out in 2011 and now contains fifteen works covering the whole Somme battlefield. Great War Lives: the First World War retold through the stories of men who fought in the conflict and a guide to tracing your own WW1 ancestors who fought and died in the conflict. Published by Pen & Sword in 2010. Walking Arras: a walking guide to the Arras battlefields from the fighting there in 1917. Published by Pen & Sword in 2007. Walking Ypres: a walking guide to Flanders and the battlefields around Ypres in Belgium. First published by Pen & Sword in 1999 with a new edition coming out in 2016. 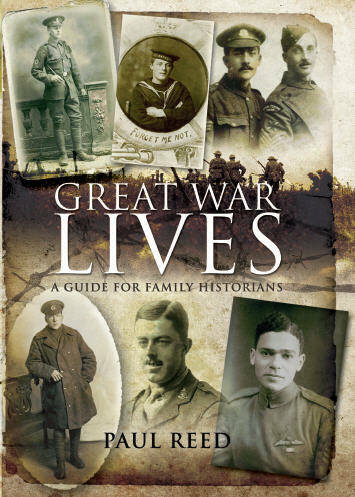 Great War Lives , contains the accounts of men who served in this war a brilliant read , thanks Paul .